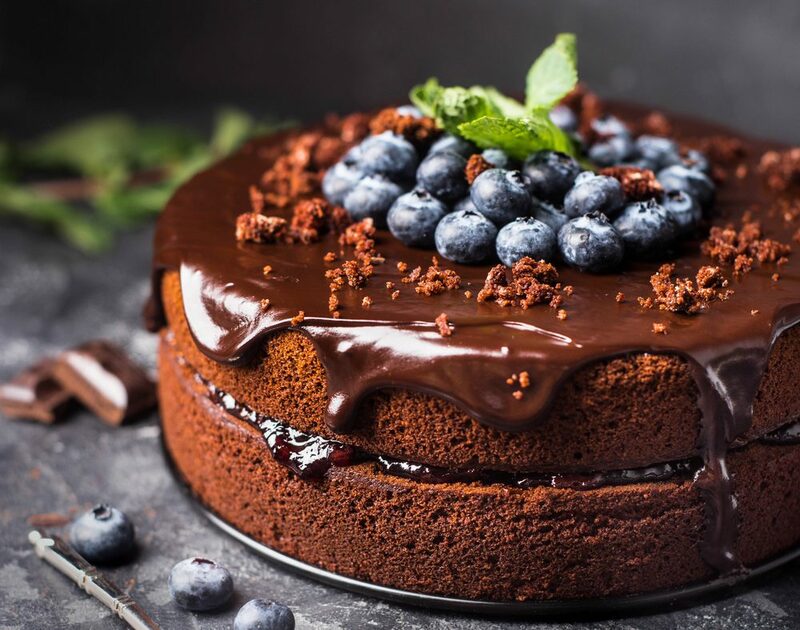 Dairy-free and egg-free, this parve chocolate crunch cake recipe will have you getting up for seconds! This soft and light recipe serves 10 and takes a total of 3 hours including preparation and cook time. This recipe is a must-try for those chocolate lovers looking for a kosher twist! 1.Put flour, yeast, sugar, oil, salt, and one cup of water into a mixing bowl. Knead for 3-4 minutes on low-medium speed or until a lump of dough begins to form. If dough gets too dry, gradually add a little more water. Then, knead for an additional 6-7 minutes or until dough is soft and smooth. 2. Transfer dough to lightly floured work surface. Knead gently with your hands and form into a ball shape. Put dough into a lightly greased bowl, cover, and let rise for 1-2 hours or until doubled in size. 1.Take coconut oil and coconut in a bowl and melt in a microwave or over a double boiler. Mix until mixture is smooth. Then, add sugar and mix. 2. Cool mixture for 30-60 minutes at room temperature until it reaches a spreadable consistency. 1.Roll out dough on a floured surface into a ⅕” thick rectangle and spread evenly with chocolate filling. 2. Roll up tightly (jelly-roll style) and cut lengthwise into two long strips of dough with filling showing. Twist strips together into a screw shape. Roll up the “screw” around itself into a spiral. 4. Preheat oven to 350℉ (180℃). 1.Bring sugar and water to a boil in a small saucepan. Cook for an additional 2-3 minutes or until all the sugar is dissolved and it forms a smooth syrup. 2. Brush cake liberally with syrup and cool at room temperature.